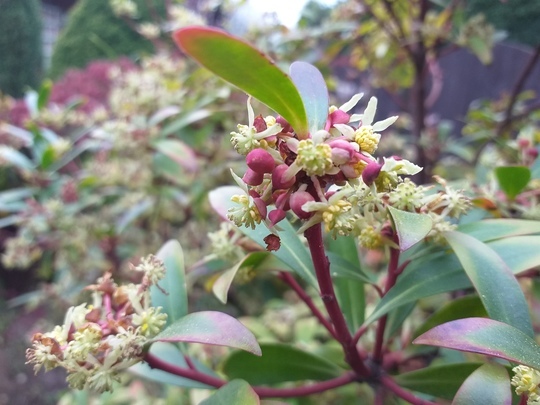 The shrub in the photo I've had for many years...can anyone nudge my memory, is it Arbutus Unedo? 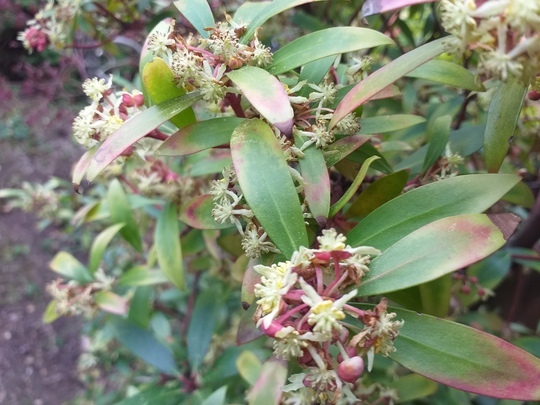 Looks like my Drimys lanceolata ... a lovely shrub from N.Z. or Tasmania I believe. I think you are right,Shirley...just checked it online and I'm fairly sure that's it...planted a long time ago . Yes, that's it, definitely. Mine is just starting to flower now.